DME-Direct is a distributor of quality orthopedic bracing, sports medicine, and wound care products serving hospitals, rehabilitation clinics, therapists, universities, patients, and consumers. 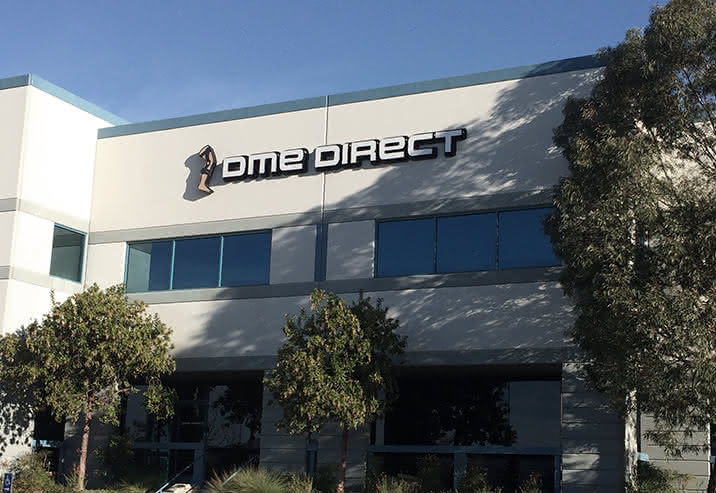 Established in 1998, DME-Direct was created by Andrew Everett PT, a physical therapist and member of the American Orthopedic Society for Sports Medicine, to provide customers with orthopedic/sports braces and rehabilitation products. Our staff is experienced with using our products to treat injuries, recovery after surgery, and prevent injuries. DME-Direct Inc. is responsible for all of the content on this website. We proudly feature brands like Active Ice, ActiveWrap, Aircast, Aspen Medical Products, Bauerfeind, Breg, BioSkin, Chattanooga, DeRoyal, Donjoy (DJO Global), Hely Weber, Ottobock, Ovation Medical, Medi USA, Medical Specialties, Thuasne USA, and other medical/ergonomic brands. Our products are used by doctors, physical therapists, and medical professionals to help treat injuries and recover faster following orthopedic surgery. We supply a wide range of orthopedic and sports bracing, medical equipment, rehabilitation products, wound care supplies, and product advice. We can help recommended products for a variety of sports injuries, recovery following surgery, and daily activity. DME-Direct works daily to offer value and great prices to both medical professionals and consumers. We are continually expanding our portfolio of products for distribution to healthcare facilities and businesses worldwide. We use our manufacturer relationships, experience, and technology to bring value and cost savings to our customers. By lowering our costs we are able to pass those savings onto our customers. Our goal is to provide our customers with an easier time purchasing high-quality products, low prices, on-time delivery and, most importantly, customer-focused service. Our customer service team includes physical therapists with over 20 years of treating patients and real product experience. Our commitment to you is 100% customer satisfaction and to stand behind the products we sell. For product questions and order information please contact us Monday - Friday 7:00 am - 5:00 pm Pacific Time at 877-742-8784 for assistance. You can also chat online or reach us by email at customerservice@dme-direct.com.